Great products to help your loved one go to the toilet where you want him to are available here at Direct Pet Supplies Perth. Four Paws Keep Off Repellent Dog/Cat Granule 910g Four Paws Keep Off Granular Repellent works to repel dogs and cats for up to 24 hours when applied daily. Packaged in a durable jug with a handle and with a convenient shak- er top for easy application. Outdoor use only. ..
Four Paws Toilet Tablets For Waste Manager 24 x 3g Wee-Wee Waste Manager Natural Clean-Up Tablets help speed the breakdown of dog waste. The natural enzyme tablets are environmentally friendly, non-toxic to humans and pets, and harmless to lawns, shrubs and trees. Simply add one to two tablets a week to the Wee-Wee Waste Manager Disposal System ..
Four Paws Toilet Waste Manager Designed for today’s health and environmentally conscious consumer, the Wee-Wee Waste Manager Disposal System acts like a mini septic system. Placed in-ground, our natural enzyme Clean-Up Tablets and water catching lid speed the breakdown of dog waste. The Wee-Wee Waste Manager is easy to install and provides a convenient way to remove dog waste from yards, protecting families from harmful bac- teria. Unit..
Four Paws Wee Wee Odour & Stain Removal 946ml Four Paws Wee-Wee Advanced Stain & Odor Remover powers through common pet messes such as urine, feces and vomit ..
Four Paws Wee Wee Patch Medium 50x76cm The Wee-Wee® Patch provides a convenient way to train your pet for both indoors and outdoors. The durable tray features a unique pour spout that makes for easy drainage. Dogs prefer to go in an area based on its texture and scent. This realistic dual-height grass with puppy attractant provides a natural feel for your dog. The patch is an ideal training aid for both inside and out. Replacement mats are available. ..
Four Paws Wee Wee Patch Small 50x50cm The Wee-Wee® Patch provides a convenient way to train your pet for both indoors and outdoors. The durable tray features a unique pour spout that makes for easy drainage. Dogs prefer to go in an area based on its texture and scent. This realistic dual-height grass with puppy attractant provides a natural feel for your dog. The patch is an ideal training aid for both inside and out. Replacement mats are available. ..
Four Paws Wee Wee Post The Wee-Wee Waste Manager Post trains dogs to elimi- nate in a designated outdoor area, keeping lawns clean and green. The Wee-Wee Post utilizes attractant to draw dogs to it and prompt territorial marking. The top portion is molded to look like natural stone with a removable cap to allow for refills. The durable bottom plastic stake provides easy in-ground insertion. The Wee-Wee Post comes with a 32g trial ..
Four Paws Wee Wee Post Attractant 236ml The Wee-Wee Waste Manager Attractant is scientifi- cally formulated to attract dogs to wherever it is applied. It encourages elimination through instinctive territorial marking. The Wee-Wee Attractant effectively trains a dog where to urinate ..
Four Paws Wee Wee Replacement Grass Medium 48 x 72cm Replacement grass for Wee Wee Patch Medium ..
Four Paws Wee Wee Replacement Grass Small 48 x 48cm Replacement grass for Wee Wee Patch Small ..
Four Paws Wee Wee Urine Eradicator 946ml Four Paws® Wee-Wee® Urine Eradicator destroys the toughest urine stain and odors. ..
Metal Pan & Poop Scoop Metal Pan & Scoop for heavy duty easy pickup No bending over ..
Pet Loo Replacement Grass Large 83 x 83cm There are many varying types of synthetic grass on the market. The Synthetic grass used for The Pet Loo is of optimum quality designed and developed specifically to reduce your hassles. After lengthy testing, we have ensured that the grass guarantees maximum drainage. The grass only needs to be replaced if you feel it's necessary. ..
Pet Loo Replacement Grass Medium 63 x 63cm There are many varying types of synthetic grass on the market. The Synthetic grass used for The Pet Loo is of optimum quality designed and developed specifically to reduce your hassles. After lengthy testing, we have ensured that the grass guarantees maximum drainage. The grass only needs to be replaced if you feel it's necessary. ..
Pet Loo Skip To My Loo Attractant Toilet training can be a difficult time in a young puppy or kitten's life and this training aid can help. It uses a scientifically formulated solution that mimics the smell of animal urine. Don't worry! It doesn't smell and doesn't contain real animal urine or faeces. 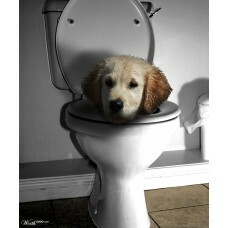 It simple attracts your pets to an area that you designate as the 'toilet'. It's designed specifically to be used in conjunction with the Pet Loo and can be used indoor or ou..
Pet One Wee Wee Pad TrayToilet training a new puppy is always a stressful time for pet and owner, but with Pet One Wee Wee (Training) Tray used in conjunction with Pet One Wee Wee (Training) Pads, it is made easy.The durable, lightweight plastic tray holds the pad in place to prevent spillages and stops your cheeky puppy dragging the pad all over the house as a play toy.Pet One Wee Wee (Training) Tray is the ideal puppy toilet training aid and is a valuabl..
Pet One Wee Wee Training Pads 14pkTake the stress out of toilet training your puppy with Pet One WeeWee Training Pads! WeeWee Pads are a great hygienic aid for housebreaking new pups, and may also be useful for dogs that are incontinent.WeeWee Pads are made from super absorbent polymer filling to trap and retain moisture within the pad, while the sealed edges prevent leakage.Toilet training is one of the most fundamental skills that must be learnt by dogs early in life, Pet One WeeWee Pads are a..
Pet One Wee Wee Training Pads 30pkTake the stress out of toilet training your puppy with Pet One WeeWee Training Pads! WeeWee Pads are a great hygienic aid for housebreaking new pups, and may also be useful for dogs that are incontinent.WeeWee Pads are made from super absorbent polymer filling to trap and retain moisture within the pad, while the sealed edges prevent leakage.Toilet training is one of the most fundamental skills that must be learnt by dogs early in life, Pet One WeeWee Pads are a..
Pet One Wee Wee Training Pads 50pkTake the stress out of toilet training your puppy with Pet One WeeWee Training Pads! WeeWee Pads are a great hygienic aid for housebreaking new pups, and may also be useful for dogs that are incontinent.WeeWee Pads are made from super absorbent polymer filling to trap and retain moisture within the pad, while the sealed edges prevent leakage.Toilet training is one of the most fundamental skills that must be learnt by dogs early in life, Pet One WeeWee Pads are a..